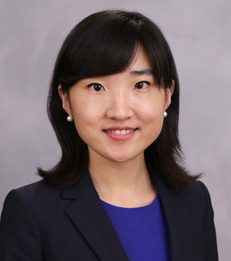 Xiao Liu joined New York University Stern School of Business as an Assistant Professor of Marketing in July 2015. Professor Liu’s research focuses on quantitative marketing and empirical industrial organization, with a particular interest in consumer financial service innovations and high-tech marketing. In a recent paper, she looked at how to create new pricing and product design strategies to overhaul the overdraft fees. Her current methodological approach applies parallel computing techniques to data on a large scale and multimedia tools to unstructured data. Professor Liu is the recipient of the 2014 Marketing Science Institute (MSI) Alden G. Clayton Doctoral Dissertation Proposal Competition Award and the 2014 INFORMS Society for Marketing Science (ISMS) Doctoral Dissertation Proposal Competition Award. She received her B.S. in Finance from Tsinghua University and her Ph.D. in Marketing from Carnegie Mellon University Tepper School of Business.